Birch Bark was one of the special retreat designs from my first make. wear. love. 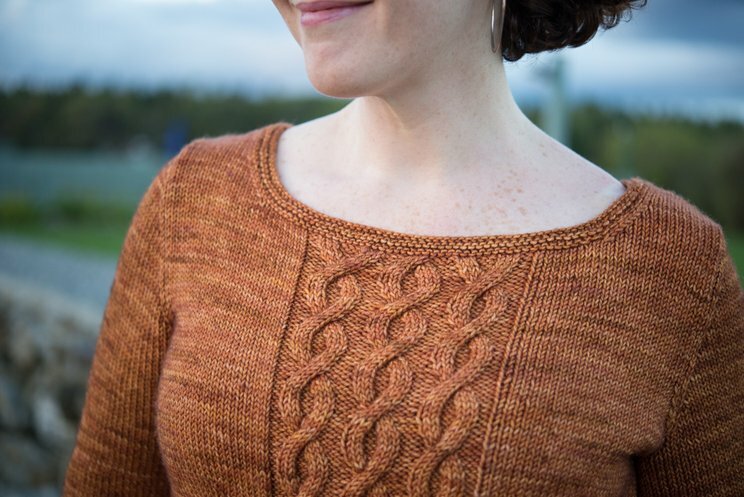 sweater retreat, in 2013. 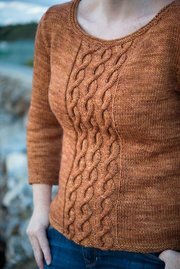 It's a fitted pullover with a boat neck, 3/4 sleeves, and a graphic cable panel, worked up in a delicious hand-painted worsted yarn. 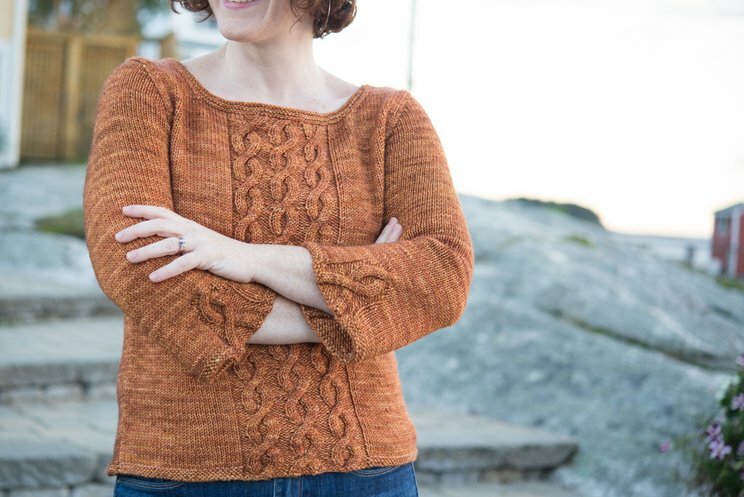 This has been one of the most popular designs in my traveling sweater suitcase for years, and I'm thrilled to bring it to CustomFit. 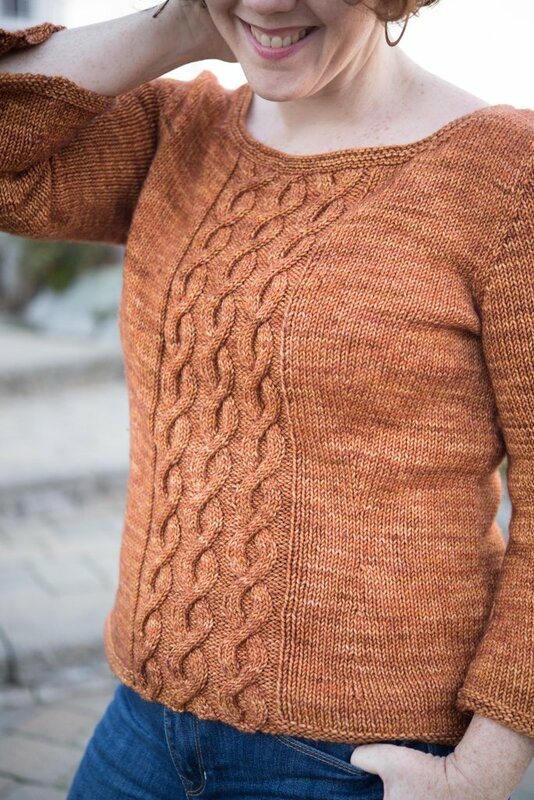 My sample was made from The Woolen Rabbit Frolic, a worsted-weight 100% merino that has incredible depth of color and plenty of structure for the cables. I used the color "Autumn Aster". I liked this yarn at a gauge of 5 stitches to the inch; at that gauge, you'll need approximately 5 (5, 5, 6, 6, 7, 7, 7, 8, 8, 9, 10) hanks of Frolic for a standard size 30 (32, 34, 36, 38, 40, 42, 44, 46, 48, 50, 54)'' garment. 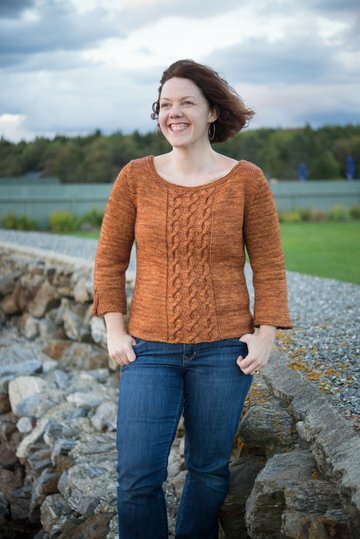 For other gauges, or yarn substitutions, I highly recommend Hannah Fettig's excellent app Stashbot for yardage estimation.